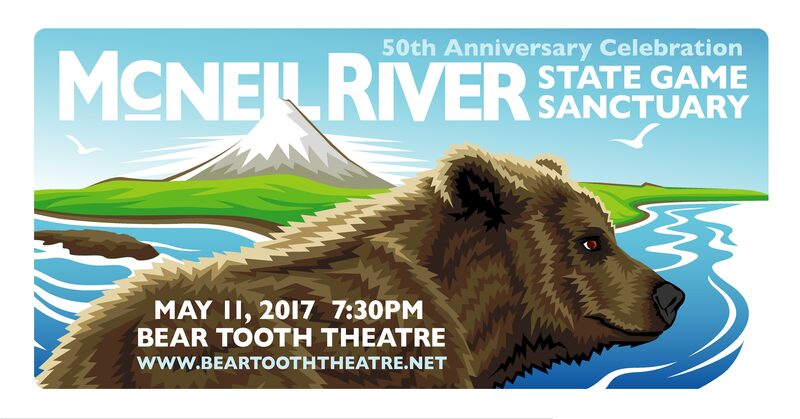 May 11, 2017 @ 7:30 p.m.
Come celebrate the 50th anniversary of McNeil and 50 years of brown bear conservation with stories and talks from some of the people who have spent time on the ground there. Tom Walker (photographer and co-author of RIVER OF BEARS), Doug Chadwick (biologist and author), Colleen Matt (biologist and educator), Larry Aumiller (McNeil’s 30-year manager), Jeff Fair (author of IN WILD TRUST, the latest book about McNeil River), Clem Tillion (the legislator who helped designate McNeil in 1967), and others. 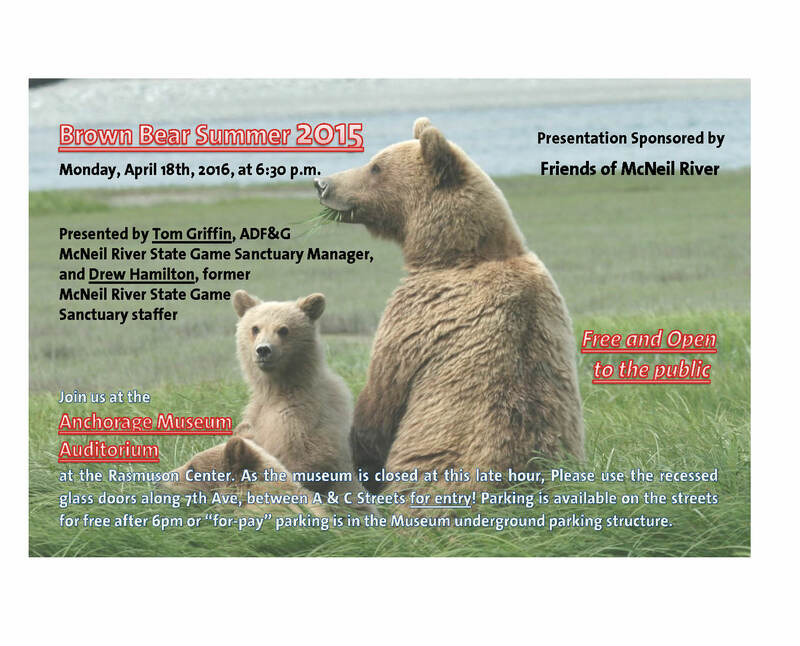 It should be a great night for wildlife stories and Alaskan brown bears. 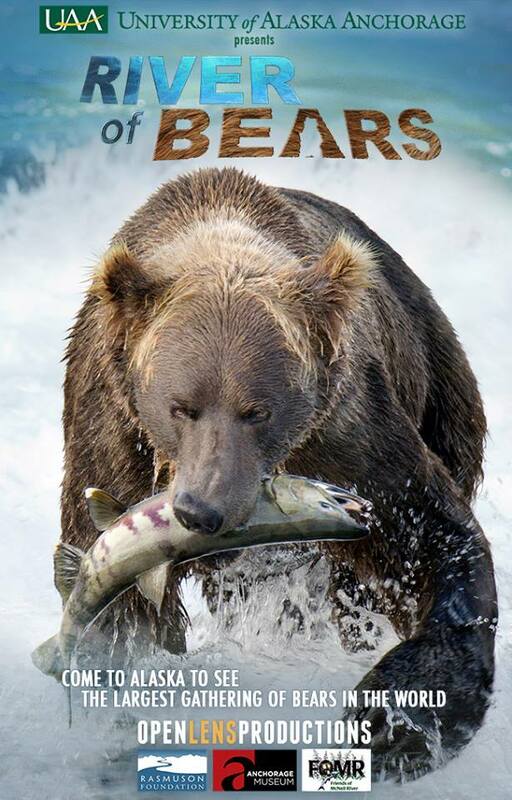 Thursday, May 11 -7:30 p.m.
To make RIVER OF BEARS widely available to fans of McNeil River and bear aficionados all over the world, Open Lens Productions is transforming the planetarium film into a DVD version. This transformation from the fulldome (planetarium) format to a regular screen is a complicated and expensive production. But we feel strongly that wildlife films like this are a great way to help people understand why it is important to preserve and protect special places like McNeil. 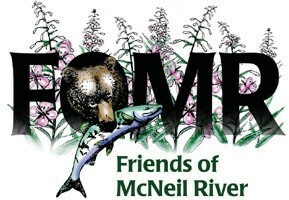 Friends of McNeil River and Open Lens Productions currently sell this DVD on-line at their websites. Jonathoan Van Ballenberghe donated 200 copies of the RIVER OF BEARS DVD to Friends of McNeil River for us to benefit from this wonderful production.